Oh…I know this well…..counting have opened my blind eyes….and I too was illiterate for too long…so thankful He is teaching me to read though a different lens. And teaching our children….I think mine watched me for a long time….then I put a notebook in the kitchen….said anyone could write….they slowly started to write….even the the older ones who moved out….the 2 I still had at home…I got them notebooks….one sone…one daughter….when the daughter had reached 500….the son…..maybe 100….but I know it started a work in their hearts. 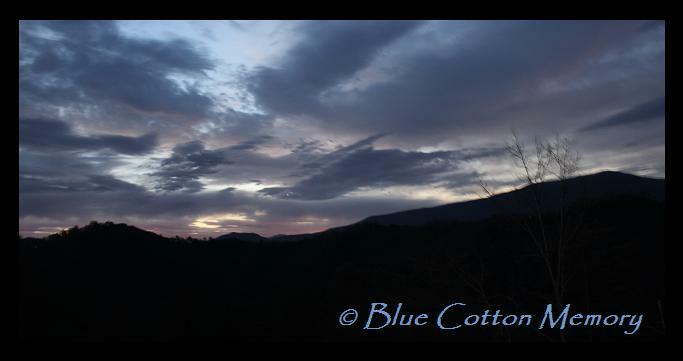 Enjoy being in God’s country….love…love the smokies. Beautiful words. Beautiful gifts. Thank you for linking up. I use to be more purposeful in counting my gifts. I want to be like that again, for when my eyes were opened to the blessings all around me, the joy flowed easily. Blessings! I resonate with your words today and agree that “He meets me when I wait for Him.” I’m so glad you waited on Him to reveal that beautiful surprise in the sunrise and in all of life. Your prayer inspires me as well. You are a great mom and so thankful for your open heart here today. I never grow tired of watching the sun rise. It is such a throne-ushering-invitation, isn’t it? Isn’t it amazing how gratitude changes us? I’m grateful God is using this to bring you closer to Him, friend. What a beautiful gift to give your sons. For in the counting, they grow and mature to be full of praise for the blessing. God has big plans for each of them! You are an angel. Thank you Maryleigh! I love watching the sunrise, and sometimes the sunset. God is a painter and He knows the exact hues, saturation, temperature that will bring out the best in His artwork – everyday He produces a masterpiece. Awesome is the message of creation – the glory and the magnificence of our Artist-Creator God displayed so generously for all who have the eyes and the heart. Thank you for this simply beautiful post – you managed to put into words the experience of sunrise! But more than the words, the photos you posted are indeed awe-inspiring. Have a glorious spring season which is just around the corner. When I looked at this beautiful picture of the sunrise, I was thinking how often we miss all the bushes around us burning with the beauty of His glory. I love the way you wait on your Pappa until you find Him, even in the smallest gifts He lavishes upon you. ahh, i love this… “and great will be their peace.” my prayer for my sons exactly friend. love the way you love our Lord. love how you find Him, how you wait for Him, friend. it speaks to my deep places, places of longing that grow weary in the wait. and your prayer at the end? just awesome. thank you. glad i came over from IP! That is a beautiful prayer for your children. I too am often startled at how transforming thanking in hard things can truly be.